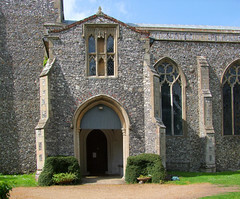 Set beside the hideous Norwich to Cromer road, this is the only locked church for miles around. To add injury to insult, the keyholder is half mile further down the hellish road, and so cyclists and walkers will need to take their lives in their hands if they want to see inside. 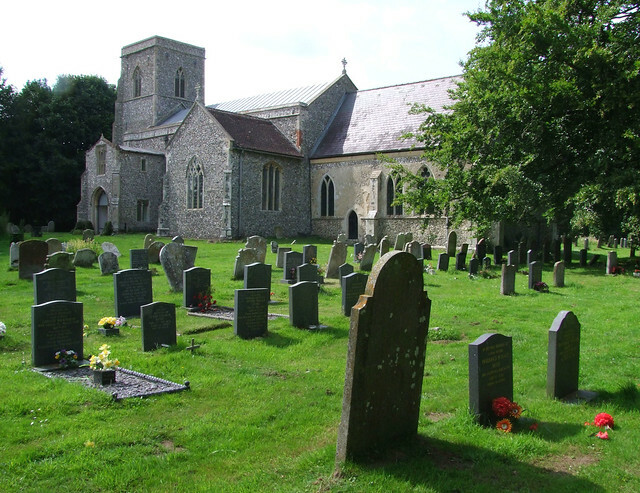 This is not the church's fault, of course, but it would be kind of the parish to open the church during the day so as not to risk being the cause of serious harm. 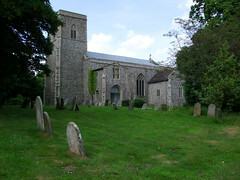 Be that as it may, this is one of those big, rambling 14th Century Norfolk churches. content to decay quietly in the years after the Reformation before being dragged kicking and screaming into the modern era by the Victorians. I suspect that not much has happened since. Pevsner was excited by the 14th Century schoolroom benches, a rare survival, now in the chancel. There are also some fragments of continental glass brought from elsewhere. I've no idea what they are. 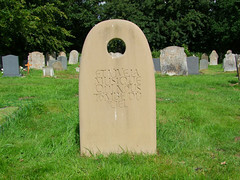 We are, at least, allowed to sit in the churchyard. The noise from the road is overpowering, especially if you've been walking across fields, or cycling narrow country lanes like I had. But still on this summer day a skylark managed its swooping rise and song in the field across the road. I don't know if he knew he was competing with the roar of the traffic. Most likely, he was just ignoring it. 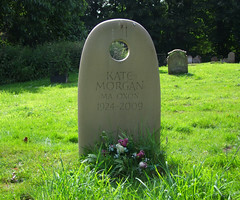 But as if to encourage him, there is an attractive headstone of 2009 which sits to the south of the church. It quotes from the libretto of the opera Carmen, by Bizet: et vive la musique qui nous tombe du ciel - 'and long live music that falls on us out of the skies'. As appropriate here as anywhere, and how lovely.